Led by our friend Paola (see her biography below). 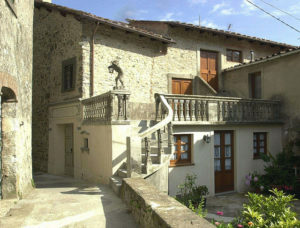 Many little hidden villages in the Lucca area are rich with treasures. The locals are proud of their villages, with centuries of tradition underpinning their way of life. This tour gives you the opportunity to be part of their world for one day, to discover how this aspect of Italian culture has been well-preserved, far from the typical tourist trek. (1) The “Lodovica” provincial road on your way to the “Pedogna” valley. 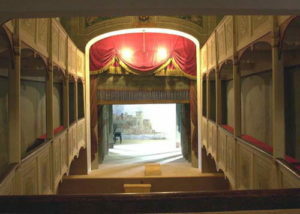 (2) A small village to see "the smallest theatre in the world," recently restored by the Italian Environmental Fund. (3) A memorable guided visit to another small medieval village with twisting stone steets so small that the locals park their cars below the village and walk. Here, you'll visit another hidde gem, the museum of chestnut and rural culture. (4) Lunch of very traditional cuisine in a typical family-run restaurant (price not included). (5) Visit another really beautiful tiny village, the birthplace of the most famous opera composer of all time, Giacomo Puccini. 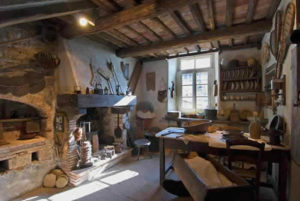 Here is a national Puccini museum, with the original Puccini family furnishings of 1700, a splendid example of the old country kitchens of that period, and the piano where Puccini composed part of Madama Butterfly and many other treasures, including a rich collection of autographed letters. This tour lasts about 6 hours and half, from 10,30 a.m. Until 5,00 p.m. Paola will accompany you throughout. Price include private driver (if requested) and guide to accompany you throughout. Not included is price of lunch, miniature theater entrance or Puccini Museum entrance (about 5euros). 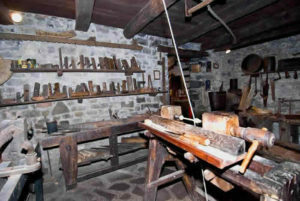 The Chestnut Museum has a free entrance – but a few euro donation is welcome for the museum.